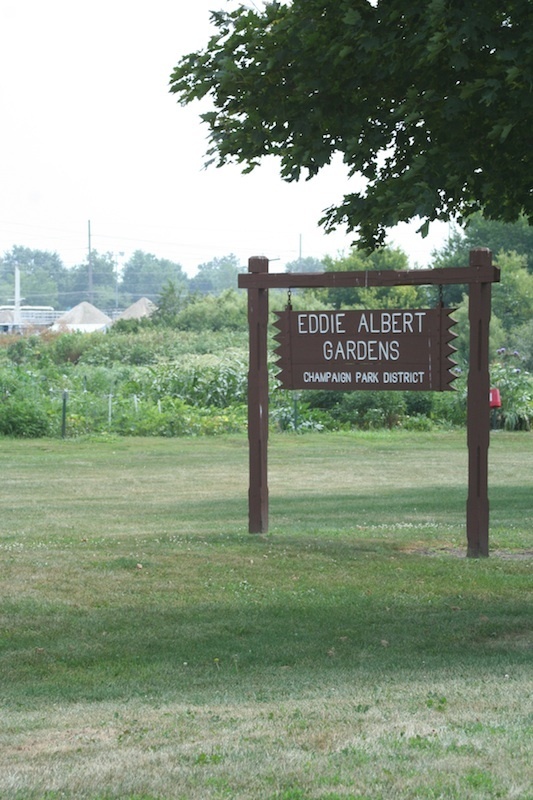 This park spans 110 acres in northwest Champaign. The land was purchased through the Open Space Acquisition grant in 1969. The Greenbelt Bikeway trail is 1.6 miles long. 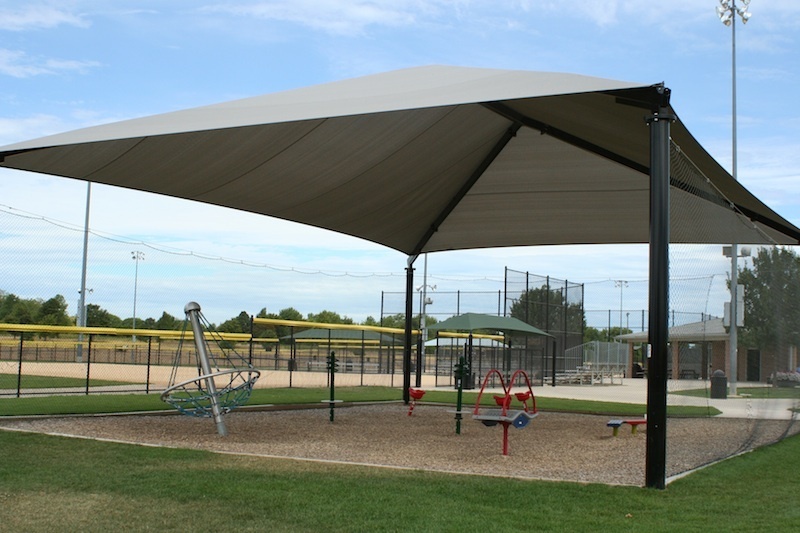 Dodds Park has parking and picnic areas, as well as seven lighted baseball fields and twelve soccer fields for sports teams. Seasonally, the park offers outdoor drinking fountains, restrooms, and concessions. 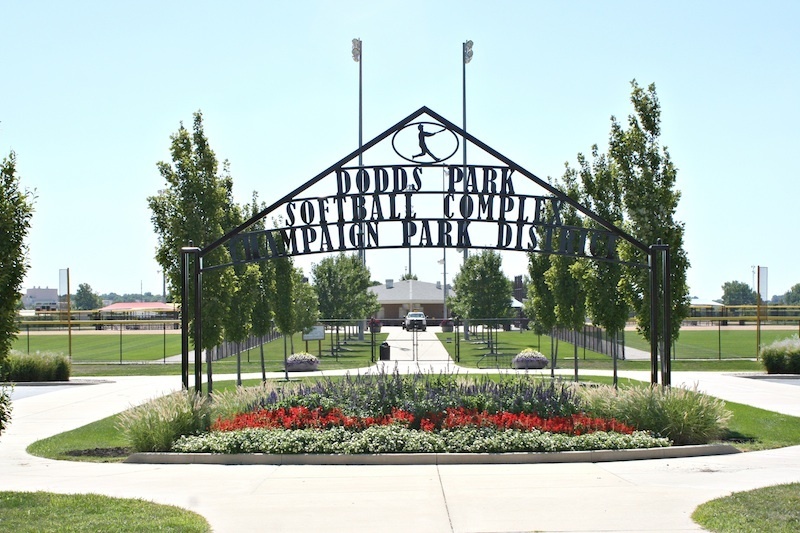 Dodds Park hosts Champaign's 4th of July fireworks display each year. 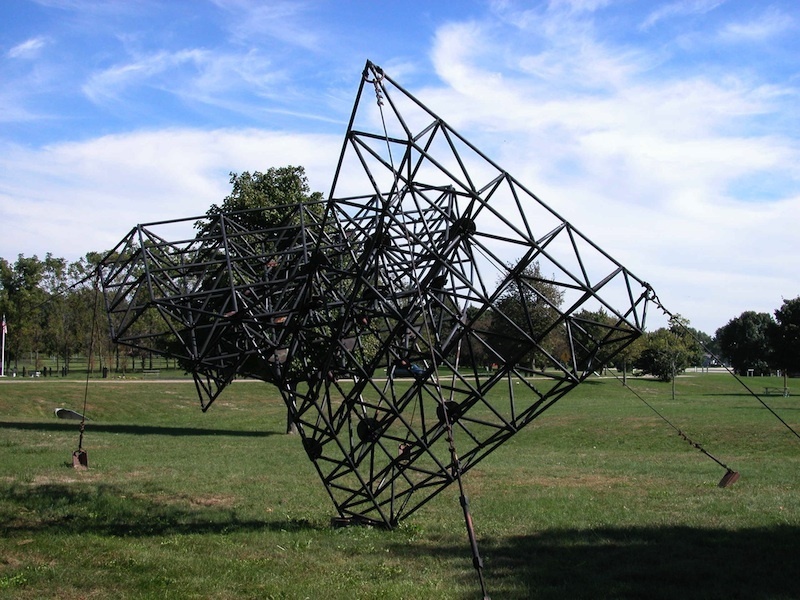 Dodds Park is notable for its sculptures and monuments. 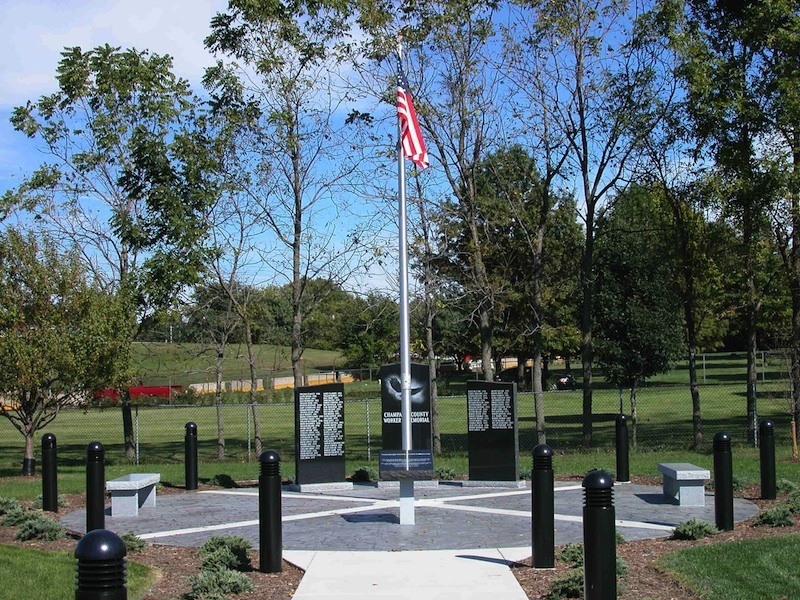 The Champaign County Fallen Workers Memorial was dedicated on September 2nd, 2002, and consists of a circular stone pad with two benches and three free-standing tablets. Two of the tablets are engraved with the names of those who have died on the job since 1950. Parkland College students and faculty created construction drawings for the project in computer aided drawing classes, while labor and a portion of the construction materials were provided by various members of local labor unions and vendors. The Tribute to the Olympic and Paralympic Athletes is dedicated to people who are from or have connections to Champaign-Urbana and have participated in the Olympics. It was dedicated July 4th, 1991, and is currently inscribed with the names of forty one Olympians who called Champaign county home. 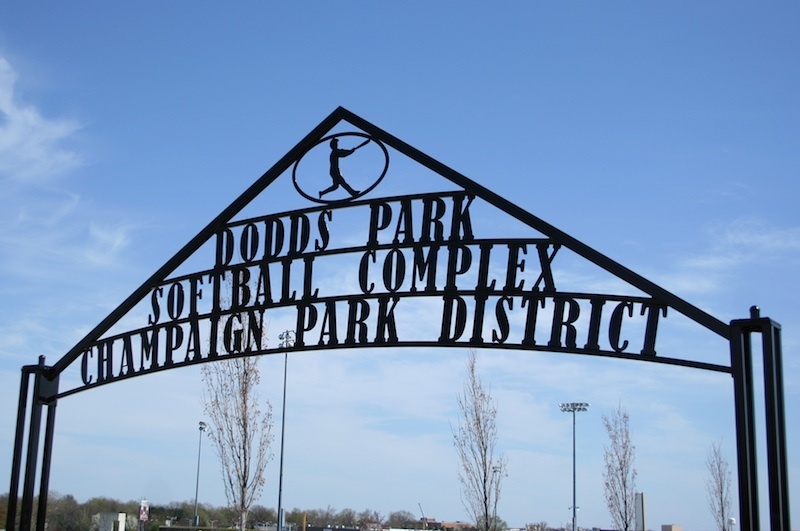 Policies for inclusion and names of athletes can be found on the Champaign Park District's website. 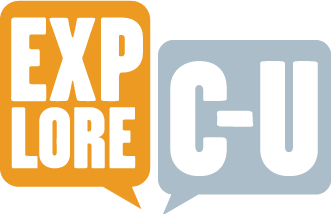 “Dodds Park,” ExploreCU, accessed April 20, 2019, https://explorecu.org/items/show/89.